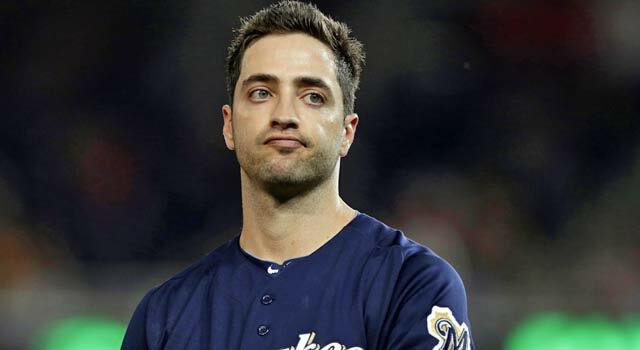 That was Milwaukee Brewers outfielder Ryan Braun in February 2012 – thumbing his nose at Major League Baseball after his positive drug test was overturned on appeal. It was a cheeky move, to claim that the truth had set him free, when in fact Braun only managed to slither out of a suspension through a chain-of-custody dispute. Effectively, the guy who collected his 2012 urine samples had stored the sealed containers in his home fridge overnight, because it was too late to FedEx them to the lab. Braun cried cross-contamination, and a possible MLB conspiracy as well as some other nonsense. If the urine is cold, the charge won’t uphold? I’m sure many Brewers fans really wanted to believe he wasn’t juicing, but I doubt many did. Come again? I guess I missed his confession of fallibility in 2012. Perhaps his sanctimonious crowing about his innocence — ALL WHILE LYING THROUGH HIS TEETH – drowned it out. Even more fascinating in today’s statement? “I realize NOW that I have made some mistakes.” Soooo… this only just occurred to him? Even after having paid high-priced lawyers to get him off the hook 18 months ago? Ryan Braun or his publicity folks — likely both — clearly think baseball fans are pretty gullible. Often when a cheater or lawbreaker expresses contrition, the rest of us grumble, “Oh sure you’re sorry… sorry you got CAUGHT.” I can’t recall a confession or apology by a public figure that has better reflected this kind of convenient epiphany, or blatant insincerity, than Ryan Braun’s did today.